A periodontist is a dentist who has gone beyond general dentistry to specialist in a certain type of medical care. They specialize in the care and treatment of the structures in your mouth that support your teeth and surround them. Gums, tongue, cheeks, everything in your mouth that isn’t your teeth is the area of expertise of the periodontist. While any dentist is well-versed in the conditions surrounding these features, only the periodontist has the additional education required to really make a difference. Periodontists focus their education on the treatment and care of conditions related to periodontal disease. This disease affects many areas of the mouth, including the roots of the teeth, the gums, and the structures surrounding them. While it typically starts as the easily treatable gingivitis, if left untreated it turns into the more dangerous periodontitis. They also provide support for those seeking dental implants, a form of restoration dentistry that involves the placement of titanium mounting pins in the jaw. How Can I Periodontal Dentist Help Me? Having a periodontist in charge of your oral health can do amazing things for you. Their specialization means that they understand the subtle indicators of advancing gingivitis and have an advanced familiarity with all of the various structures of your mouth. From the connective tissues to the bones and gums within your jaw they’ll know how to care for all of it. 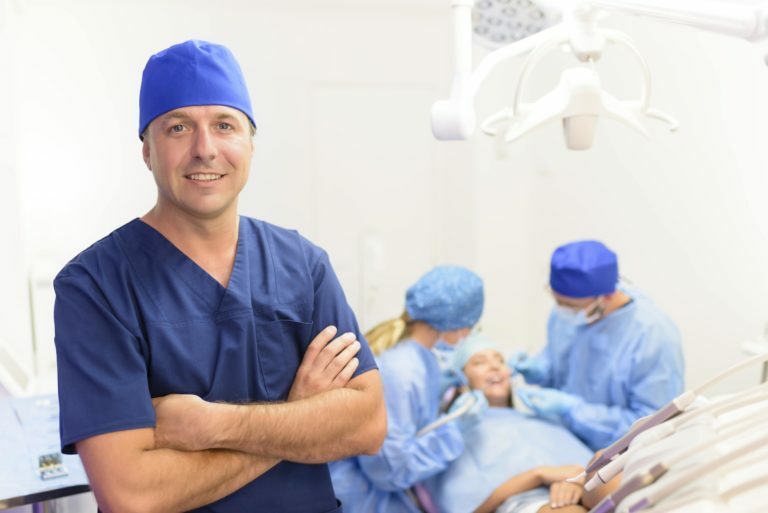 What Else Does a Periodontal Dentist Do? The other parts of a periodontists specialty include regenerative treatments that help destroyed bone begin to rebuild. While complete restoration is rare, they are able to help restore some of the integrity of your jaw. They can also provide gum graft surgery in the event that you’ve had trauma or decay remove vital gums. They also perform a number of cosmetic procedures, one of them being the lengthening of the dental crowns by removing or reshaping excess gum and bone tissue to make your teeth be more prominent. Laser treatments are also available through your periodontist, and are a very effective way of treating certain manifestations of periodontal disease, as well as cleaning up plaque and tartar on your teeth through scaling with a laser. Root planing is another procedure they perform that can help restore your teeth and eliminate plaque, tartar, and diseased tissue at the root. If you live in the Palo Alto CA area and are looking for a new dentist give Heritage Park a call. In combination with Dr. Shadi Heidarian, the staff at Heritage Park serves their local community with incredible dental care. Compassion and expertise come together to create an experience that ensure your whole family will receive the dental care they need in an atmosphere of respect and dignity. Don’t let poor dental health ruin your friendly smile, contact Heritage Park dental today for a consultation that will determine what steps they can take to help you restore amazing dental health.